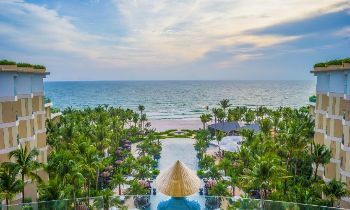 Besides the beautiful sandy beaches and rich nature, Phu Quoc is also ideal for those who passionate about cultural exploration with many fishing villages. Ham Ninh commune is located on the east of the island. Mountains and forests are at the back and the immense sea at the front. People live by Ham channel. Houses here remain primitive features with cottage roofs and bamboo wattles. The community life relies on pearl diving, catching holothurians, and netting crabs. Coming to Ham Ninh in the morning or on moonlighted nights, tourists can entirely enjoy the beauty of the sea. The scene of the sunset over the sea is also great. It is a must for tourists to try boiled crabs here. The crab is its specialty and can almost be found anytime. Crabs boiled which has just been caught from the sea has fresh red color and firm meat. They are very delicious when eaten with salt mixed with pepper and lemon juice. 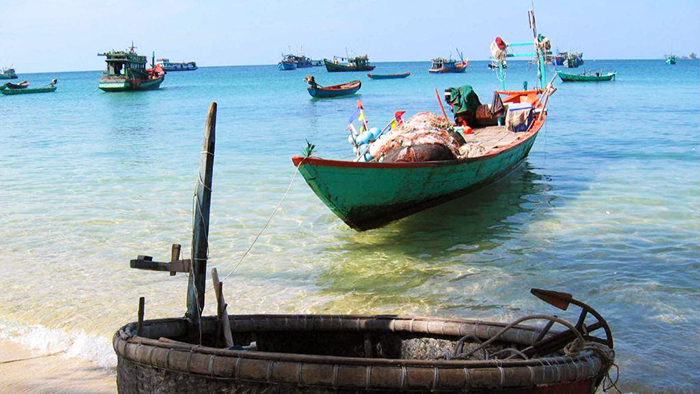 Located in the north and about 14 kilometers from Duong Dong town is Cua Can fishing village. There are many wooden bridges that only allow pedestrians and motorbikes to pass through. You can try convincing an indigenous shipowner to bring you to the Cua Can river to learn about the daily life of residents along the river or watch the big boats catch fish. Cua Can village also has a beautiful yet isolated sand dune in the north of the village, which can be seen from the coastal road going north to Ganh Dau and Bai Dai beach. Ganh Dau is a relatively small fishing village. 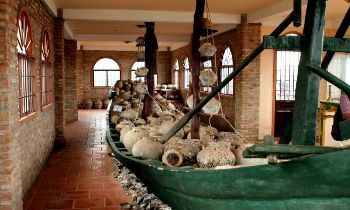 Visiting Ganh Dau village, you will see the inherent idyllic lifestyle of Phu Quoc people, the scene of sun-dried anchovies ready to bring into the fish sauce production facility, the happy children, or fishing boats anchored in the marina. Ganh Dau is home to some of the most peaceful beaches on Phu Quoc island. There are the Gio Bien restaurant about 1 kilometer from the fishing village and a nearby floating restaurant specializing in selling seafood at extremely cheap prices. Located in the North of the island, Rach Vem is a relatively small fishing village, mainly doing fishing. Rach Vem village is about 20 kilometers from Duong Dong town. You can move here by motorbike or car. The scenery of the fishing village is like a harmonious picture of nature, there is a little color of the sea, of the sky, a little coolness of the winds which will make you extremely comfortable. 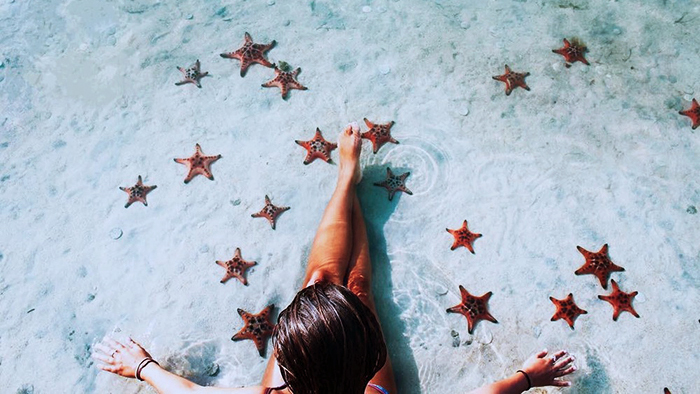 Standing on the bridge, you can see the starfish through the clear water. Currently, reaching Rach Tram fishing village is not easy because the road is difficult to find and go. However, when you come here, you can participate in the discovery of Rach Tram river and Ham Rong mountain beach with many interesting things. You will have the opportunity to explore the untouched beauty of Rach Tram river with one side is the melaleuca forest and the other side is the mangrove forest. On the watersurface are the dark green leaves and red flowers. 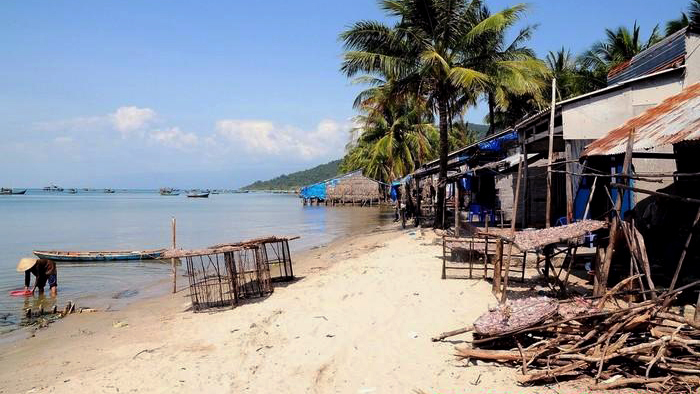 Coming to Phu Quoc fishing villages, you will have a chance to discover tourist paradise with charming natural scenery of mountains, white sandy beaches together with the peaceful life of the locals and fresh seafood here. 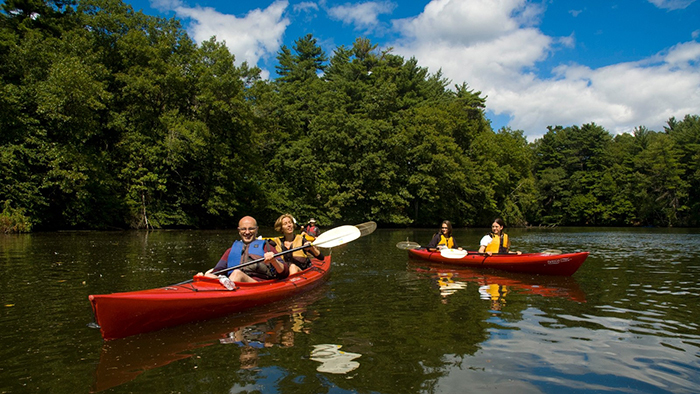 If you love the place, don’t hesitate to like and share with others. Thank you.